Fruitless Pursuits: FPcast! The Fruitless Pursuits Podcast for September 2nd! My Spader Sense is Tingling! FPcast! The Fruitless Pursuits Podcast for September 2nd! My Spader Sense is Tingling! 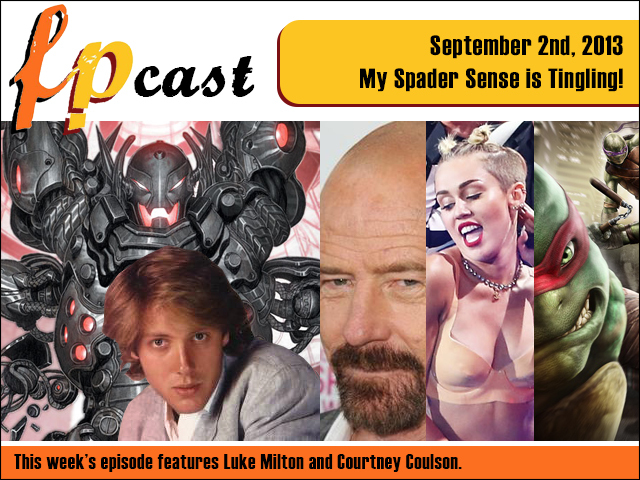 On this week's FPcast Courtney Coulson and I talk about James Spader becoming an evil robot, Lex Luthor rumours, Star Wars Episode VII casting rumours, we break down the Divergent trailer, argue about Miley Cyrus twerking, and play Teenage Mutant Ninja Turtles: Out of the Shadows! We had to do this one over Skype so apologies for when the sound gets a little sketchy, but we make up for it with content!